Pioneers in the industry, we offer aluminum bar from India. 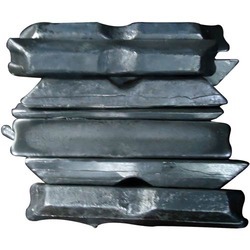 We are engaged in manufacturing, exporting and trading of Aluminum Bar at industry leading prices. Our manufacturing team precisely-engineer these bars in the compliance with industry laid quality norms. Available in customer specified dimensions, these are widely demanded in various automobile and heavy metal industries. These are known for their fine finish and corrosion resistance. Looking for Aluminum Component ?